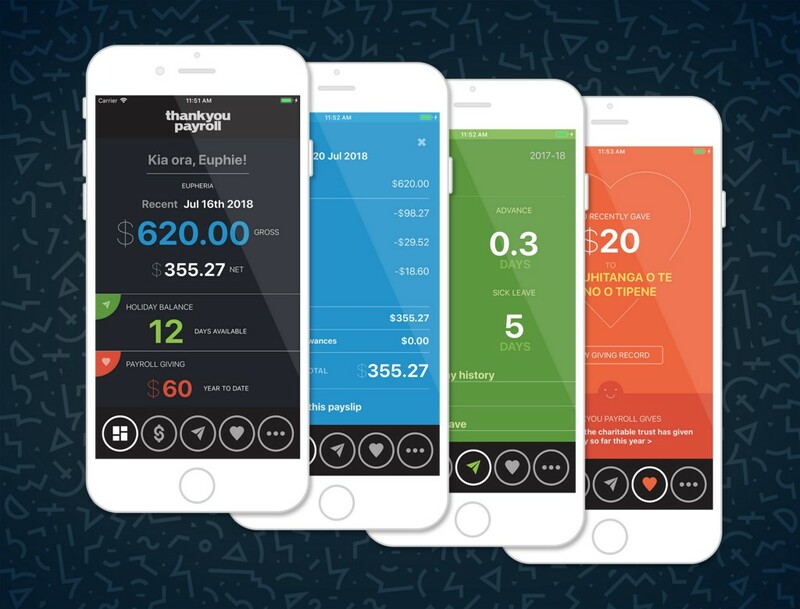 The team at Thankyou Payroll has been working uber hard to release our first mobile app! It’s a beautifully designed and easy way for employees to track their payslips, leave and giving all in one place. A free, easy to use employee pay summary app was something we’ve been wanting to create for awhile. Employees of businesses and not-for-profit organisations that use our cloud based payroll software can now get easy access to their pay information whenever they want. For anyone who’s ever worked on mobile apps and product releases, you’ll know how much work goes into this kind of thing. It’s never easy but always worth it in the end. We’re eager to hear employees and employer’s feedback. • The dashboard shows a summary of your most recent pay, your annual holiday balance and any payroll giving you do. • Find out more about your pays at a touch and see how it is broken down, including your gross pay, PAYE, Kiwisaver, expenses and deductions and your net pay as transferred to your account. You can also check the details of all your past pays processed by Thankyou Payroll and resend a payslip to your email address. • Check your annual holiday balances in the leave area and work out how much time you can take off! Balances are broken down into annual holiday days, accrued annual holiday days that can be taken in advance, alternative holiday days (time off in lieu) and sick leave. You can also check when you took leave in the past. • ‘Payroll Giving’ is a way of giving to a registered charity of your choice directly from your pay packet, and gives you an immediate tax rebate. Giving is optional of course but is an excellent, easy way to give back. Thankyou Payroll’s employee app will show you how much you’ve given each week and over the last year. Finally, check your employee profile details to make sure the personal information your employer has is bang up to date. To get started, your employer must be using Thankyou Payroll to pay your wages. See the App Terms and Conditions for details. To get started simply download the app and complete the simple sign-up process. You will need your IRD number and the email address that your payslips are sent to. Check it out on the Apple App Store and Google Play Store today! 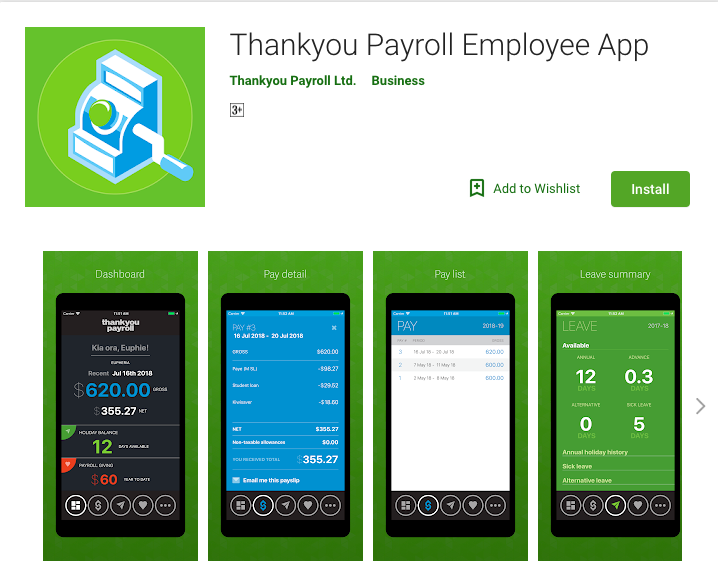 Thankyou Payroll Employee App was originally published in Thankyou Payroll on Medium, where people are continuing the conversation by highlighting and responding to this story.